In the below mentioned areas of Karen State and Shan State, the Burma Government has signed ceasefire agreements with the governing bodies. On 12 January 2012, the Burma Government signed preliminary agreements with the Karen National Union (KNU- Pro-democracy ethnic resistance ) paving the way for future peace talks. On 19 May 2012, the Burma Government signed a ceasefire with the Restoration Council of Shan State in efforts to prevent future fighting. The Burma Army has violated both agreements since their initial signing. We at FBR pray for all sides of this conflict and look forward to a resolution and to reconciliation for all. This report shows continued attacks but we hope for more talks and for positive change on all sides. On 23 June 2012 at 10:00 am, Burma Army soldiers from Light Infantry Division (LID) 66, came to Burma Army Tha Aye Hta Camp. 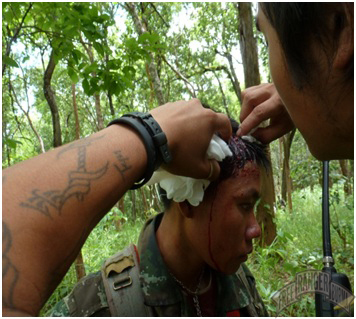 While patrolling on the Kler La/Maw Chi road, soldiers fired at four villagers at a road crossing at Wa Baw Day. Of the four villagers, two villagers were from Hee Daw Kaw Village and two were from Thay Ko Der Village. They were carrying rice from Kler La when they were shot at by the Burma Army, but lost all of their rice while escaping. 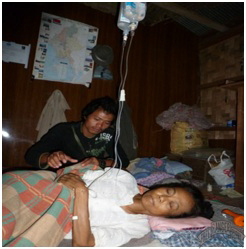 On 24 June 2012, LID 66 soldiers, stationed at Tha Aye Hta Camp, shot at more than ten villagers on the route between Hee Daw Kaw and Sho Ser; the soldiers then returned to Tha Aye Hta Camp. On 24 June 2012, a Burma Army helicopter flew over the abandoned B Mi Ko Burma Army Camp three times. The next day, troops from Maw Chi came to B Mi Ko Camp. 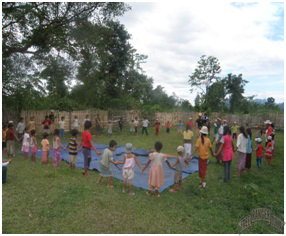 Over 200 rice sacks were already sent to Tha Aye Hta Camp as of late June, with approximately 5000 more on the way. Burma Army troops are using trucks to transport food. 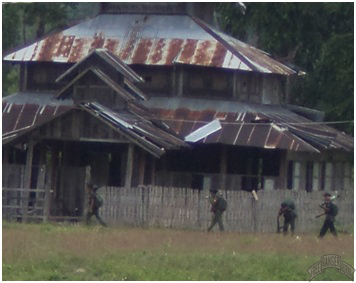 At noon on 31 July 2012 in Naung Lo Village, Maung Paung Township, Burma Army soldiers from Military Operations Command (MOC) 17 ambushed Shan State Army (pro-democracy ethnic resistance) soldiers who were travelling from with an FBR relief team. Two SSA soldiers were killed, and approximately 270 Burma Army soldiers from Infantry Battalion (IB) 132, IB 332, Light Infantry Battalion (LIB) 520 and LIB 525 remain in the area. Approximately 100 soldiers from IB 295, LIB 575 and LIB 577 now block the road from Maung Paung Township to Chaung Taung and Linn Khaung. and is based at nearby Lang Hkur Camp. After the fighting, the second-in-command of LIB 575 sent a letter to the Village headman, asking that villagers notify him when they are traveling through the area to prevent future conflict. Two days later, the same battalion forced two men from Sai Kow Village to serve as guides to Noung Khan Village. On a mission in June, a Shan FBR team visited villagers throughout Khun Hing Township. 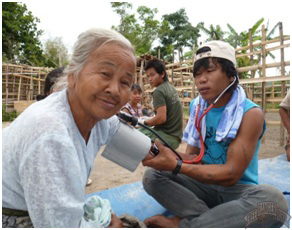 The team treated 37 people in Sai Mon Village and held GLC programs in Sai Mon Village and Sai Kow Village.